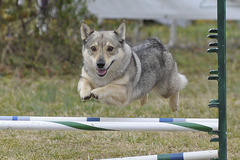 Swedish Vallhunds are a very versatile breed. 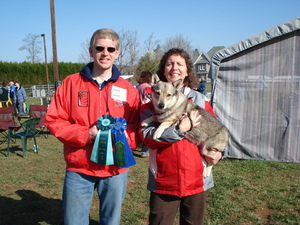 They excell in performance sports such as agility, herding, obedience and just about anything you ask them to do. They love to work with you and have a job to do. 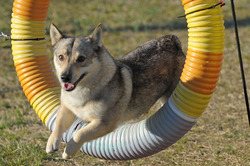 Tia jumping thru the tire at an agility trial in Youngsville, NC. Picture taken by Stewart Event Images. Looking good and having fun. Taking the teeter with style. 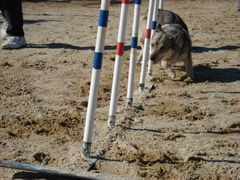 Tia flying thru the weave poles in good form. Tia on the dog walk. It was very windy, but she stayed on course. Tia coming out of the tire. What's next?! Tia receiving her HT. A BIG thanks to my friend Michele Brane who trained and handled her. 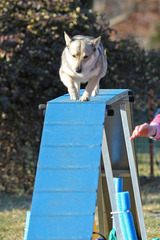 Chance training on the teeter. Chance jumping thru the tire in 1999. March 2009. 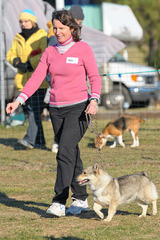 Tia's first agility titles. Many thanks to Brian Brane for his help training and handling Tia. 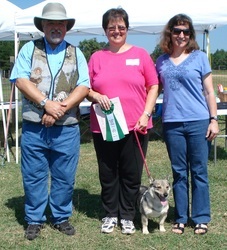 Hanging out together at Youngsville Agility Trial. Just me and my girl.